The School of Architecture at NIU was started in the year 2014-15 with a sanctioned intake of 40 students by the Council of Architecture. The school has well equipped labs, workshops, studios, library and other necessary infrastructure. The intake of the students is drawn from all parts of the country. We also have foreign students from neighboring and African countries. The school has well qualified faculties as per prescribed norms. “Architecture is the art and science of making sure that our cities and buildings actually fit with the way we want to live our lives: the process of manifesting our society into our physical world”. What a painter does on the canvas with a handful of brushes and paints, the Architect does it with bricks and mortar. Architect is the one who gives shape to your dreams into reality. Architecture is not just about building monumental masterpieces but it is also about having the good sense to respect, preserve and protect the Mother Earth in all her pristine beauty. A good architect not only builds aesthetically pleasing structures in keeping with the requirements of time but also builds in complete harmony with the nature. In addition to the mandatory course content the curriculum lays special emphasis on the maximum use of locally available, ecofriendly and recyclable materials and also on environment friendly methods of construction. One to one interactions with the students, site visits and out station study tours form integral part of the teaching methodology. Whereas, large number of graduates establish their own Architectural Consultancy firm after an initial period of work experience in private offices, however quite a few of them join post graduate studies and take up teaching as a preferred career option. In addition jobs opportunities are also available with government organizations such as Public Works Department, the Archaeological Department, Ministry of Defense, Town and Country Planning Organization, National Institute of Urban Affairs, Department of Post and Telegraphs, Public Sector Undertakings, Housing and Urban Development Corporation, National Building Construction Corporation Ltd., etc. While some other organizations or bodies like State Departments, Housing Boards, Local Bodies, Builders and Architectural Consultancy firms are also major job providers. 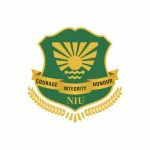 NIU-SOA has well experienced faculty from premium institutes such as Chandigarh College of Architecture, Jamia Milia Islamia, SPA, etc. who are committed to impart competitive education to students. Our faculty members are always approachable to students as they are not just the teachers but mentors who believe in holistic development of students.